It was entirely due to the grace and kindness of Lord Swaminarayan that He manifested Himself on this earth in human form to liberate innumerable souls. As if that was not enough, He also brought spiritual devotees (muktas) from His Divine Abode, Aksharadham. Lord Swaminarayan Himself and his muktas imparted the knowledge of His marvellous Form, to the people. As the seekers of this Absolute Truth began absorbing the knowledge, they went on giving higher and higher understanding of the Divine Form of the Lord. 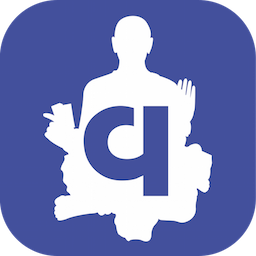 Fortunately for the aspirants on this earth, this process continued even after the cessation of human body by Lord Swaminarayan. Shri Gopalanand swami was the foremost disciple and Divinity-personified mukta who accompanied the Lord on this earth. In one of His discourses (Vachanamrutam Gadhada last series: 21) Lord said that Swami Shri Gopalanandaji was even higher in his achievement than the muktas around the Lord Himself (param ekantik muktas), thus explaining that Swami Shri Gopalanandaji was an anadi mukta who always remains integrated in the Murti of the Lord Himself. Shri Gopalanandaji swami took lot of pains to explain to the seekers the knowledge of the Lord and of blissful state of anadi muktas. One of the chief enlightened disciples of Shri Gopalanandaji swami was Shri Nirgunanandasji swami of Ahmedabad temple. Lord Swaminarayan continued to bestow ultimate redemption (atyantika kalyana) to innumerable souls by imparting true knowledge of His Divine Form, Abjibapa appeared on this earth in human form. He took birth at Village Baladia, about 20 km. from Bhuj in Kutch District of Gujarat State. 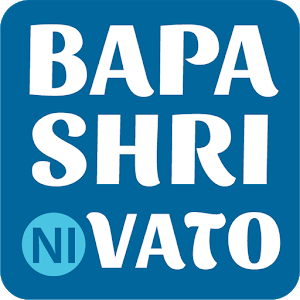 As a child, Abjibapa showed extraordinary and divine powers, which is usual for those who have descended from the Divine Form of the Lord. He used to go into trance which on occasions lasted for numerous days. He later became the disciple of Shri Nirgunanandasji swami. However, unlike any other disciple, Swami Shri showered great love and reverence on Shri Abjibapa. Swami Shri was older to Abjibapa by about thirty years and was detached from all attachments. Yet whenever Abjibapa used to meet Swami Shri, Swami Shri used to keep Abjibapa with him all the time of his stay. 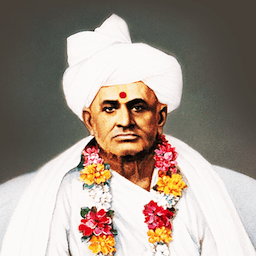 Once Swami Shri saw divine light radiating from the body of Shri Abjibapa, Abjibapa explained that the body of every enlightened mukta is emitting divine radiation which Lord Swaminarayan has mercifully given to these muktas. In his talks, Shri Abjibapa used to emphasise that Shri Swaminarayan is Supreme personified Lord and none is equal to him, and his anadi muktas never come out of the everlasting experience of the Divine Bliss. He used to explain that muktas are of two types: those who live in the proximity of the Lord’s Divine Person and enjoy the bliss, are named param ekantik muktas; while those who live in the very person of the Lord, integrated in Him, enjoy the highest bliss of the Lord, they are called anadi muktas. Although Shri Abjibapa did not have much of the schooling, his sharing of experiences of living right in the very Person of Lord Swaminarayan was so much overpowering that learned people and even great saints also accepted him as their teacher. Among them was Shri Ishwarcharandasji swami, who was an enlightened disciple of Shri Nirgunanandasji swami. He had learnt by heart all 273 discourses (Vachanamrutam) of Lord Swaminarayan at the age of 24 years. He had rare privilege of understanding the inner meanings of all these Vachanamrutam from his Guru Shri Nirgunanandasji swami. But, in spite of all these studies, when Shri Ishwarcharandasji swami heard the explanations of Vachanamrutam from Shri Abjibapa, he was spellbound and wonderstruck. Right then, Swami Shri Nirgunanandasji recommended very strongly to each of his disciples to consider Shri Abjibapa as unparalleled and enlightened personality and asked each of them to go to Shri Abjibapa for satsanga samagam. Accordingly, Shri Ishwarcharandasji swami and all other disciples of Shri Nirgunanandasji Swami used to go to Shri Abjibapa every year. 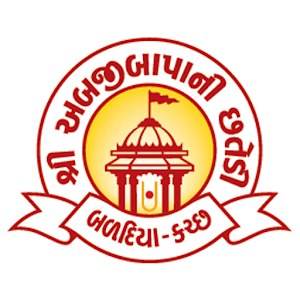 Those aspirants who accepted and followed the understanding given in that commentary of Shri Abjibapa were later classified as followers of Shri Abjibapa School of Swaminarayan Fellowship. However, it is not a separate or detached group of the fellowship. Shri Abjibapa School puts more emphasis on the perfect understanding of Lord’s supremacy and the divine state of anadi mukta for achievement of Supreme Bliss, as explained by Shri Abjibapa on the basis of his personal experiences.